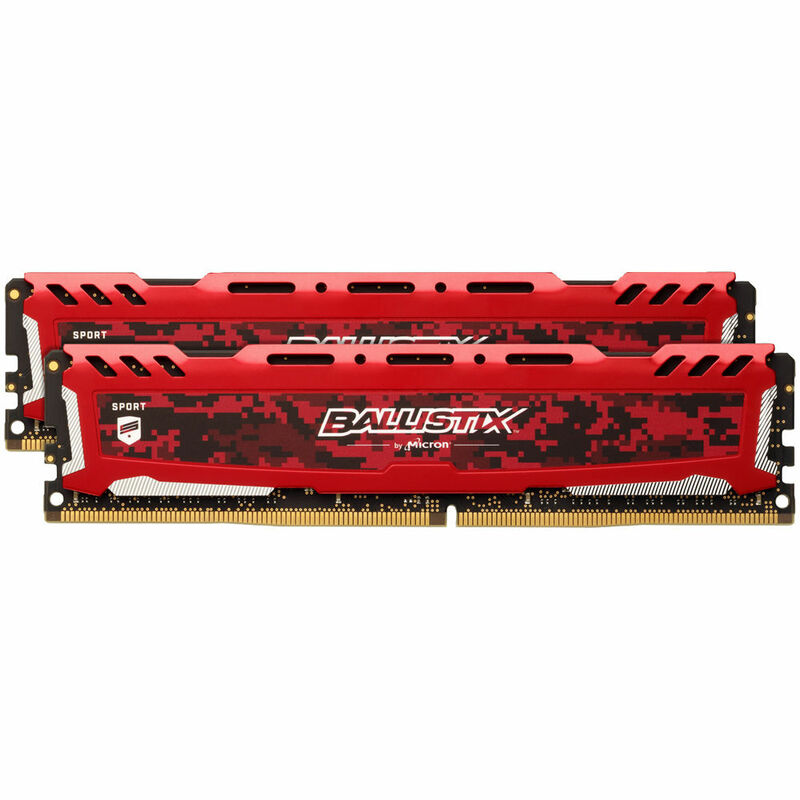 The red 16GB Ballistix Sport LT Series DDR4 2400 MHz SR UDIMM Memory Kit from Ballistix is a set of 2 memory units, each of 8GB capacity. These are unbuffered, non-ECC modules that operate on a frequency of 2400 MHz for use with DDR4 compatible systems. With a digital camo design and an integrated heat spreader for enhanced thermal performance, these modules look cool and stay cool. It features XMP 2.0 profiles for easy configuration in Intel-supported systems and engineered to deliver fast and reliable performance memory for enthusiasts and mainstream users alike. Box Dimensions (LxWxH) 6.9 x 4.7 x 0.5"
16GB Sport LT Series DDR4 2400 MHz SR UDIMM Memory Kit (2 x 8GB, Red) is rated 5.0 out of 5 by 1. Rated 5 out of 5 by Lester from Works like a champ! Fast shipping and memory works great! White good color for displaying in gaming cases!